There is a lot going on, both in and around the Cockburn area, and this list will give you the opportunity to see if there are any that you and your children would like to attend. These programmes are all during the school terms only, and all are organised by the City of Cockburn. At Play Active, your child will learn while playing and this is a unique programme for children aged from 6 months to 3 years. Play is important for a child's growth and learning, and they have 50-minute sessions, which start off with a welcome song. They then carry on with fun activities and finish with 15 minutes of "shake it off" time on the play structure. The Play Active Leader will explain each activity, and then encourage your child as they progress through each activity at their own pace with parental assistance. 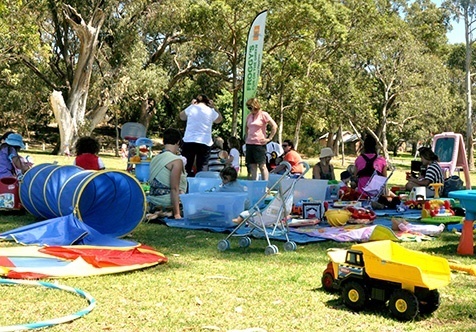 There are creche facilities for older siblings and these play times are held in the Bandicoots Play Centre, Cockburn ARC, and cost just $10 a week - they run for 10 weeks. This is on every Wednesday, from 9.30 am to 11.30 am and you can meet other parents in your community over a cup of tea or coffee, and at the same time give your child an environment to socialise and play in - particularly good if you are new to the area. Beeliar Hub is held at the Beeliar Community Centre, and you need to bring a piece of fruit and a gold coin donation for the tea and coffee. Froggy's Fun on the Green is a free family-friendly outdoor play session for families or carers with children aged 0 to 5 years. Here, there will be activities for children and it gives parents a chance to connect with other parents, discover information on child development and get support in parenting roles in a family-friendly environment. Froggy's operates during school terms on Mondays and Tuesdays. Mondays (Term One only) will be at Manning Park, Azelia Road, Hamilton Hill, and Tuesdays will be at Bibra Lake Reserve, Corner of Bibra Drive and Progress Drive. 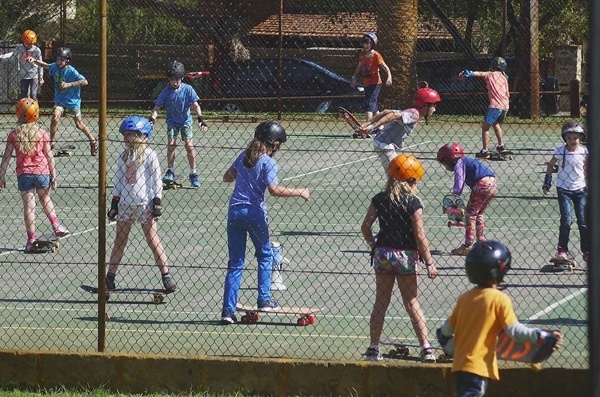 There will be free skateboard coaching clinics for 6 to 12 year olds, run by Skateboarding WA, which are suitable for beginners and intermediate levels. The skateboards and helmets can be provided free if you do not have your own. You do not need to make a booking, however registration on the day or online is essential and you can do this at Skateboarding WA. This will be held on Mondays in February at Coolbellup, as well as 12th and 19th March at Atwell, and will run from 4.00 pm to 6.00 pm. Zumba Kids classes feature age-appropriate music and kid-friendly routines based on original Zumba choreography, and it is for children aged between 6 and 10 years old. The moves are easy to follow and it's all about having fun. It will be on from 4.00 pm to 4.45 pm in the Main Group Fitness Studio at Cockburn ARC, 31 Veterans Parade, Cockburn Central on Level 1. T his one starts on Monday 5th February, and finishes on Monday 9th April, and the cost is $10 per child per class. Enrol by booking your child in on the Cockburn ARC website, and then pay before your class. See the event contact details below. You can find out more about any of these events by going to the Cockburn website.